I am very impressed with the maca. I heard and I read a lot about it before I have bought maca, but now I experienced everything on myself. Thanks to you my product arrived very quickly.I am very happy now and I see positive changes on my body. Quality maca for a fair price. 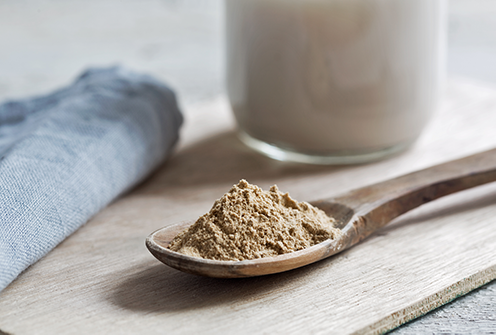 Maca isn't just for the young. The antibiotic finished up yesterday. The tooth pain persisted until Saturday. Then after adding (2) 375 mg Naproxen every 6 hours the hurt quieted down. With each dose of Naproxen Sherry serves up a bowl of something to off set the drug. We've had yogurt too. Come morning – hopefully – no more medications will be needed. We want to keep you posted. Because wheat products and... brought on various degrees of weakness, I considered myself allergic to gluten. The weakness ran hot and cold; sometimes it put me out of commission, other times it was hours of lethargy sitting in a chair. More on this later. After having prostrate pains Dr. ___ in Napa, California prescribed Doxazosin, (15 years ago, not sure). When the price of that drug tripled, you changed my treatment to Terazosin. There was little difference between the two. With either drug, however, I was up at least once each night. Sometime after the first of the year, we began supplementing the diet with MACA (a dried and powdered) vegetable from the turnip family. We tried several suppliers before settling on MACA TEAM. They offer several varieties so we sampled them all. One tablespoon apiece, six days a week is what we mix in our smoothies. My last prescription of Terazosin has not even been opened. We bought it March 11. And, if I overlooked taking that pill, the early morning would be painful to say the least. No longer do I get up during the night. Never. Not one time. There's more. For the past 20 years Sherry has taken an over the counter menopause aid – Estroven, “Maximum Strength”. A pill not to overlook. Today Sherry keeps Estroven on hand, but takes only 1 to 3 times a month – usually when we forget our smoothies. Finally, wheat no longer troubles me. Nothing I eat brings on that weak feeling. I first realized this while riding my bicycle. In times past, the legs felt like two fleshy appendages pushing pedals. But that's history. Now there is strength in my legs. I am not telling you that my legs feel “okay”. No! My legs register strength. MACA TEAM offers essentially three varieties of this food; regular, red and black, each having their individual properties. We settled on the red option and are well into our third bag. We take several basic vitamins along with a few food supplements, cayenne, turmeric and MACA. We are better from a health standpoint than we have been in years; and aside from this really crummy tooth ache, take no medications.